The Larceny definition is the act of stealing cash from a company after it has been recorded on the company books or accounting records. Larceny is often easier to detect because it is on the books, but can often go undetected for a long time. Larceny most often occurs at the point of sale or another point of the business where cash is held. It is much easier to detect than skimming and is therefore less common in the business place. However, larceny in business occurs everyday. Because the cash appears within the accounting records, the cash taken should result in an imbalance and alert the company. Many often overlook larceny because the amounts are usually small and considered immaterial. If the larceny scheme were allowed to continue though, then it could very well add up to material amounts. Best describe this by the saying “death from a thousand cuts.” In other words if a company does not look for the little frauds like larceny then it could definitely push the company into financial trouble. Companies should therefore take note of all the little changes in cash to try and pick up on the scheme as quickly as possible. 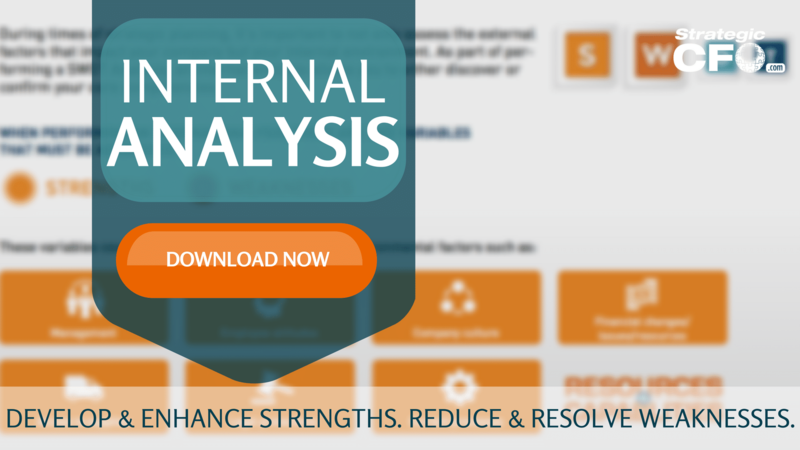 Check out our free Internal Analysis whitepaper to assist your leadership decisions and create the roadmap for your company’s success!